« Pop! Pop! Fizz! Fizz! You know what I don’t post often enough? Breakfast foods. 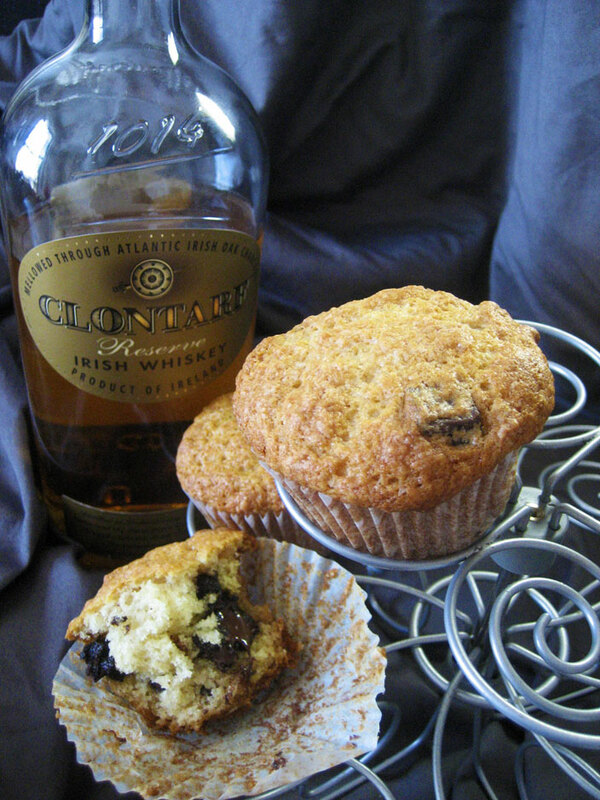 Oh sure, there were crepes that one time, scones at some point, then there were those amazing oatmeal clafoutis, and of course the epically wonderful pumpkin gingerbread muffins, but it’s been nearly a year since the muffins and I thought I ought to give more attention to the first meal of the day. Even if I tend to consider noon “time to roll out of bed and think about eating something” time. Quite honestly, most “mornings” I end up just eating fruit alongside my morning cup of gunpowder, or occasionally getting a big, chewy, cream cheese-stuffed bagel from the neighborhood coffee shop. Or I eat leftovers. (Or just throw on some clothes and head into another ‘hood for awesome sandwiches or slabs of pizza or something.) Actually throwing something more than that together first thing is not really my style. I’m sure a lot of people feel similarly. Something gooey this way comes. You know who REALLY doesn’t wanna mess around with a complicated breakfast first thing in the morning, but probably desperately needs the warm comfort of a soft, chocolate chip-studded muffin? People with hangovers. Who, if they have some leftovers from the night before and tend to bake ever at all, should have the ingredients to build these amazing little lumps of barely-appropriate-for-morning baked goodness. A non-fruity chocolate is best. Milk chocolate would be interesting. These muffins are so easy and fast to throw together, you can have them baking while you make some coffee or tea (or chug a Gatorade with a couple aspirin, if it’s THAT kind of morning). They’re fragrant, fluffy and soft with crunchy tops, best enjoyed warm so the chocolate oozes with every bite. The recipe is also very easy to divide in half and forgiving towards sloppy cup-measuring. There’s really no reason not to have whiskey and chocolate for breakfast. Preheat the oven to 400F. In a large bowl, combine the flour, sugar, baking powder, baking soda, salt and cinnamon and whisk to combine. In a liquid measuring cup or other small cup, combine the melted butter, yogurt, vanilla and whiskey. Whisk or stir with a fork to combine well. Dump the wet mixture into the dry mixture and add the chocolate chips, then whisk just until there are no more large streaks of flour visible. 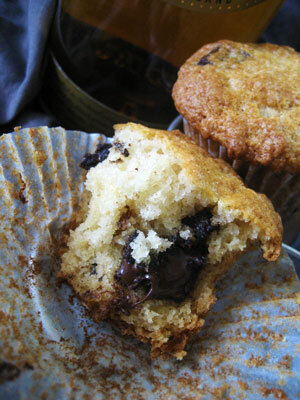 Spoon into a paper-lined muffin pan and bake for 15 minutes, then rotate the pan and bake for 5 minutes more. 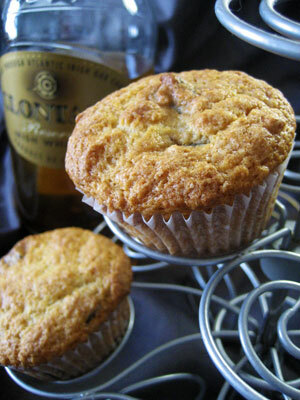 Remove from oven and allow muffins to cool for at least 5 minutes in the pan before removing. Makes 12. You could easily substitute another type of alcohol for the whiskey – rum would be nice, maybe with a little ginger added. Brandy would be tasty, too. You could also sprinkle the tops of the muffins with raw sugar and/or spices before baking, but they are fine as-is and get a nice crusty top without any extra help. Damn! 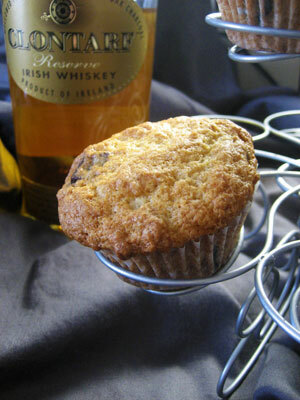 I am now planning on getting drunk with a friend who drinks whiskey so we can make these the next day. Oh hello drunken muffins! Now this is the kind of recipe I’m looking for.